An impressive detached family home pleasantly situated in an exclusive residential area within the sought after West End of Darlington within walking distance of the town centre. 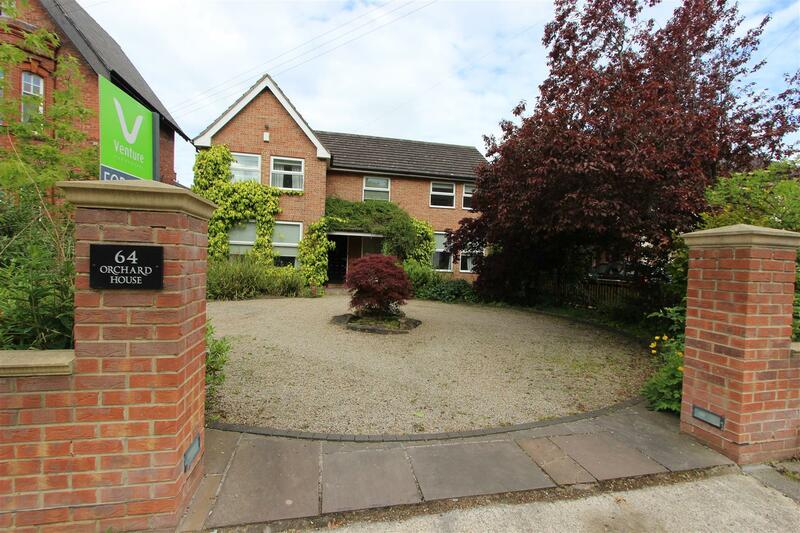 The property benefits from two spacious reception rooms, beautiful kitchen with oak-fronted units and solid granite work tops and four double bedrooms, master with en-suite. 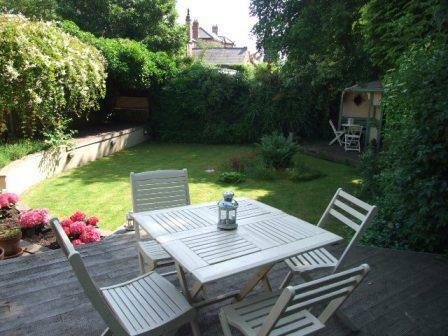 There is also a large enclosed garden to the rear of the property and a detached double garage. 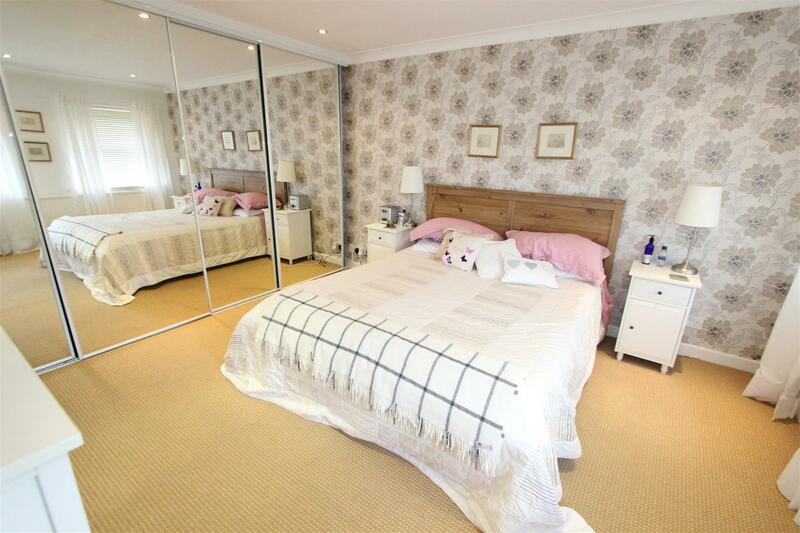 In brief the property comprises: Entrance Hallway, Lounge, Dining Room, Kitchen/Breakfast Room, Utility/ Cloakroom, Four Double Bedrooms, En-suite, Family Bathroom, Gardens, Driveway and Double Garage. Spacious entrance hallway with oak-effect laminate flooring, under-stairs storage cupboard and coving, ceiling spotlights and radiator. 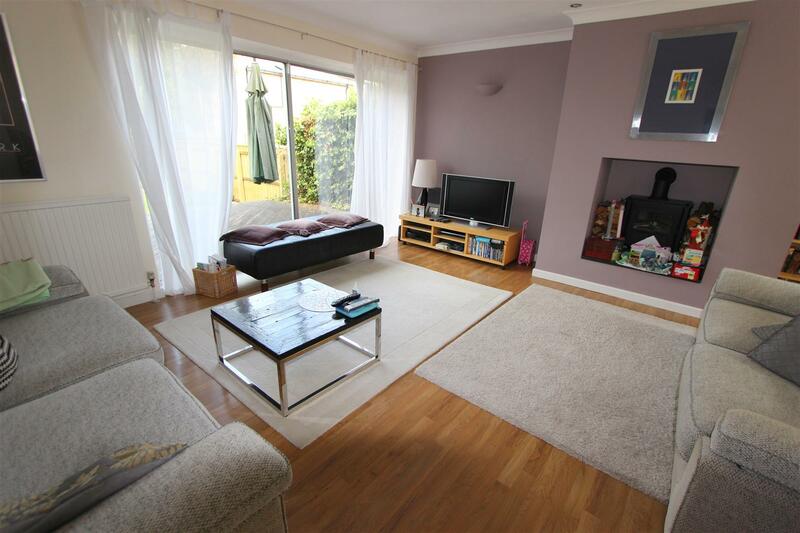 Good size living room with oak-effect laminate flooring, coving, log-effect electric stove and patio doors providing views out onto the rear garden. There are also TV and telephone points. Two windows to front, ceiling spotlights and double radiator. With oak-effect laminate flooring, coving and telephone point. Two windows to front and window to side, double radiator. 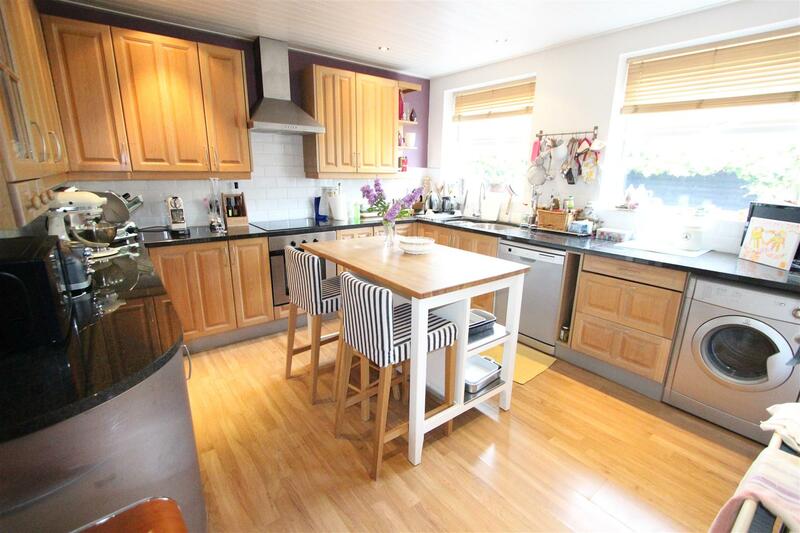 Beautifully presented kitchen with oak fronted floor and wall units with solid granite work tops, under-unit lighting, integrated stainless steel electric oven with cermaic hob unit and stainless steel extractor hood. There is also oak-effect laminate flooring and TV and telephone points. Two windows to rear, space for washing machine, space for dishwasher, stainless steel sink unit with mixer taps, ceiling spotlights, double radiator, new york style tiled walls. Handy separate utility room with plumbing and space for a washing machine, oak fronted wall and floor units with solid granite work surface and Baxi boiler, space for fridge freezer. Door provides access to rear garden. White white suite comprising WC, hand basin, tiled walls and oak-effect laminate flooring. Window to side and radiator. Access to loft via drop down ladders and shelved airing cupboard with hot water tank. Double bedroom overlooking the rear garden with fitted wardrobes, TV and telephone points and coving. Two windows to rear, ceiling spotlights. Fitted with a white suite with walk in shower, low level w.c and wash hand basin, tiled flooring, ceiling spotlights and radiator. Window to rear. 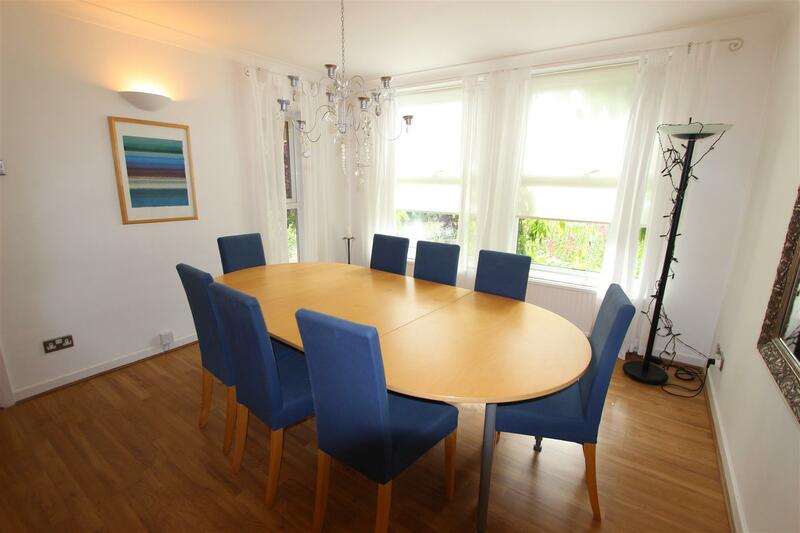 Double bedroom overlooking the front garden with telephone point. Two windows to front, radiator. Double bedroom with coving. With two windows to rear and radiator. 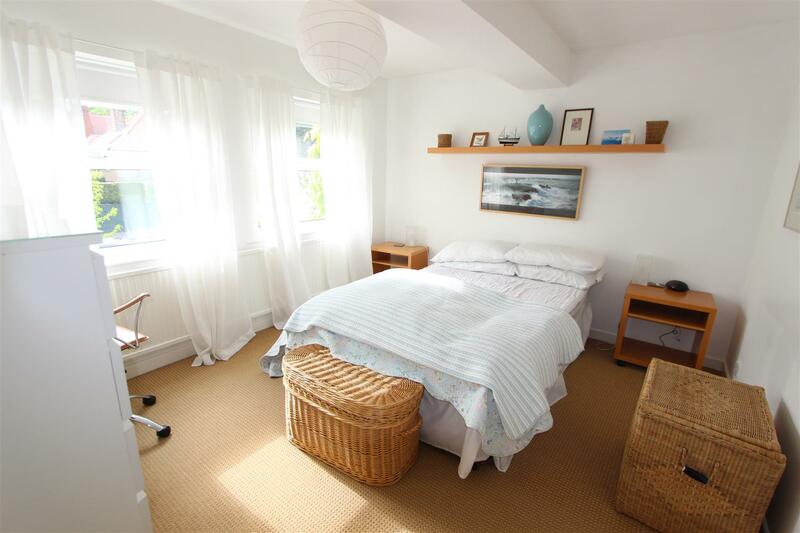 Double bedroom to the front of the property. With two windows to front and radiator. White suite comprising panelled bath with wall mounted shower unit with curved shower screen, hand basin and WC. The bathroom also has exposed oak floor, fully tiled walls and shaver point with ceiling spotlights and radiator. Pleasant front garden with a selection of shrubs and trees. Vehicular access to the rear and Double Garage with work shop area with power and light, electric door and side door. 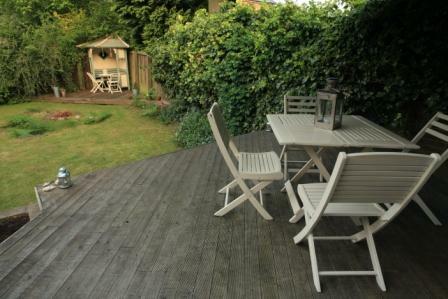 Large enclosed private garden to the rear with raised timber decked area, extensive paved area, lawned garden, a second timber decked area and pergola. 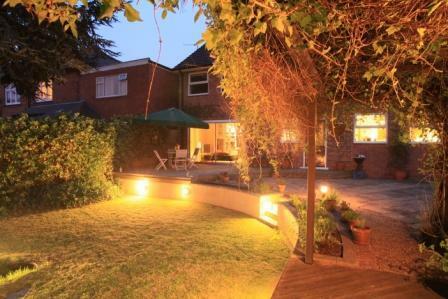 Garden lights with timer.